Why Consider a Central AC Installation Company? 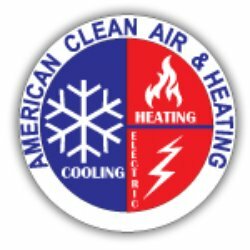 American Air and Cleaning is one of the country’s largest heating and cooling companies that can offer your business a decade or century’s worth of commercial and residential AC service and installation experience. In every job that we do, we make sure that it gets done perfectly and on time. Considered by our clients as the best central AC installation company, we have a team of highly trained commercial and residential AC technicians. 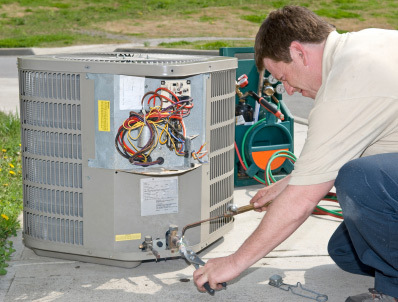 They are fully equipped to install, repair and maintain any type of AC systems. At American Clean Air and Heating, we understand that each house and facility is unique. We also know that every AC system installation requires unique installation and service considerations. So, this is where our experience makes us the ideal central AC installation company for your existing building or remodeling project. Combined with our level of technical expertise, our professionals can offer you excellent assistance and will work with you throughout the process. This means that you can trust us in helping you find the right system for your business or house and install it for you. 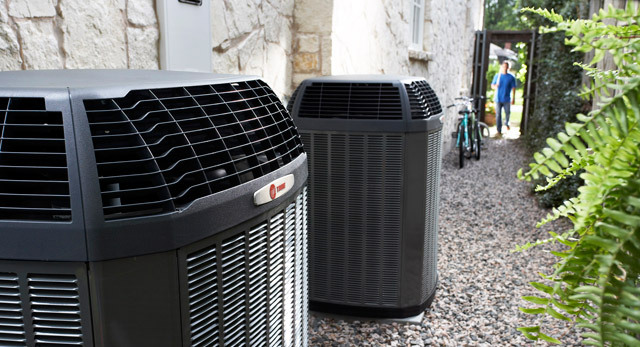 To deliver the best energy efficiency, your central AC system must be properly installed. Improper installation can easily make its performance suffer. That said, your AC could just end up having an AC that wouldn’t work. If you choose our service experts, we would provide you with exceptional quality of AC installation, maintenance and repairs. Each task that our service experts performed is backed by our company’s 100% satisfaction guarantee. Our qualified and certified professionals have years of experience in installation all AC brands and models. With that in mind, you can be certain that no matter what type of system you choose for your house, we can install it properly. In this way, you can have a comfortable home once again. The weather in the US is constantly changing. As the temperature changes, it’s important that you protect your cooling and heating system. In winter, for example, it can be hard on AC. To some professionals, winterization may not be important. But our service experts know better. Once you choose us to be your central AC installation company, you can be sure that we have properly winterized your system. That way, you won’t need to worry that your brand new AC will have issues during winter. If you live in California or one of the other warmer areas of the United States your air conditioning unit is important to you not just in the summer months but throughout the year. You need to make sure it is running at peak performance all of the time not only so that you get the best from the system but that so it is running efficiently and saving you money instead of wasting it. In order to do this properly you need to make sure that you have your system properly installed, maintained and worked on all of the time. The best way for you to about doing this is to make sure you hire a licensed AC installer in Glendale, California or other areas. A licensed installer is important to you on several fronts. First, when you hire someone to install or work on your AC system, knowing they are licensed lets you know they have the proper training and experience that you want when someone is working on a job like this. Without a license, you cannot be sure that the person who is the technician has really trained properly on installations like this, leaving you vulnerable. They could easily make mistakes that could cause the system to fail, in turn costing you hundreds or even thousands of more dollars to get the system fixed, installed properly or even replaced. A licensed installer is going to be an experienced professional that knows all of the ins and outs of the AC system you have chosen. They will be up-to-date on the use and installation of all of the latest systems and will have the technology, tools and materials on hand to make sure the job is done right. They will also be insured and fully bonded so you will be protected against any accidents that may occur should something go wrong. Take the extra time when you are looking at getting a new AC system to be sure to thoroughly check out any business you are looking to hire for your installation. Once you know they are fully licensed and experienced you will feel much better about knowing just who is working on the system for you. You can put faith in their work and know when the job is done that you will be able to relax in comfort with your new AC system. If you are seeking to install air conditioners in your property, then you will need the services of a qualified and experienced AC company. These two are features of a professional AC company offering AC installation services in Pasadena. If the services of the company you have contracted for the job are good, then you will need minimal maintenance services and repair will not be in the near future. It is important to first note that, the installation of an AC might be easy and with the current trend of Do It Yourself, you might be tempted to, with the intention of saving on the installation costs. This might sound good, but when the AC will start malfunctioning or get damaged, you will begin to regret why you didn’t contract a professional for the job. To avoid regrets and having to spend more than you would have had, simply get the services of a professional to install your air conditioner. Installation of air conditioner depends on many factors and it takes only an experienced person to know how to do the job right. In addition to experience and skill, there are the right equipments for the job. For instance, if you have to lift the Air conditioner to the roof of your property, then it will obviously require more than just people. With equipments, only those companies committed to the industry will invest in state of the art machines, and only those will guarantee the safety of the air conditioner, which in turn reduced maintenance costs and repair costs, at least for the foreseeable future. So, mind the installation of your AC and do away with repair costs. Call American Cool and Heat today!